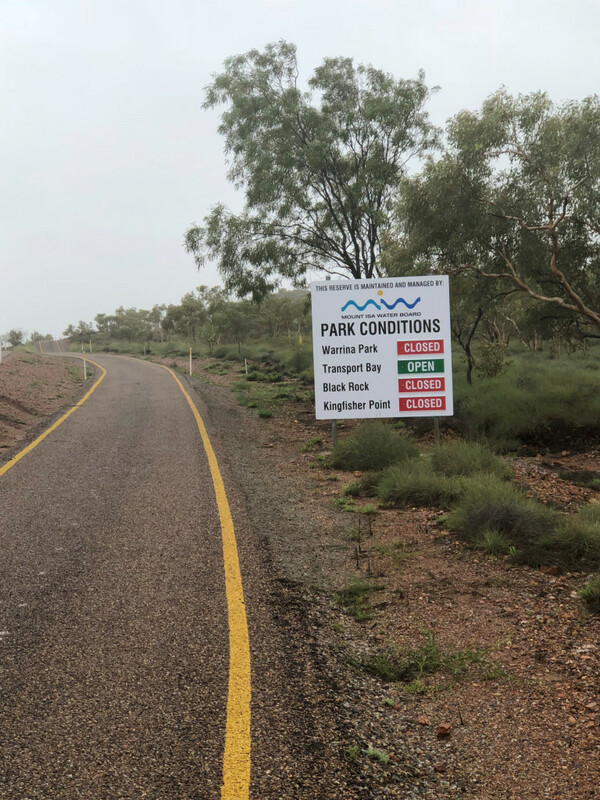 Mount Isa Water Board advises the community that there are partial closures in place at Lake Moondarra ‘Outback Park’ and the associated boat ramps, however Transport Bay picnic area and the dam lookout remain open to the public. While the dam presently remains below 90 per cent capacity and is unlikely to fill unless there is further significant storms, MIWB does advise that should the dam fill the Park will be closed to all public access. In the event that such inflow occurs, the conditions at the dam will change very quickly and it will be necessary for the safety of all that the public stay clear of the area. “We fully understand the excitement generated by the possibility of the dam overflowing” MIWB Chief Executive Stephen Farrelly said “however there has simply been too many instances of unsafe behaviour during past events”. If the dam does fill, the park areas will remain closed until all clean-up activities have been completed and all environmental and public health and hygiene matters have been attended to. “While closures are lawfully enforceable, we would much prefer to appeal to the community for cooperation in these matters” Mr Farrelly said. Mount Isa Water Board is the Trustee for the 11,000 hectare Water and Recreation R48 Reserve, the land surrounding Lake Moondarra.